The more you can plan and prepare for your maternity leave, the better off you'll be when you return to work. Figuring out the details can seem overwhelming, but don't worry—your preparation will pay off. The fewer details your employer has to figure out, the smoother this process will be. The first step is to learn about your employer’s policies for breastfeeding moms before your baby is born. Your human resources office can help. 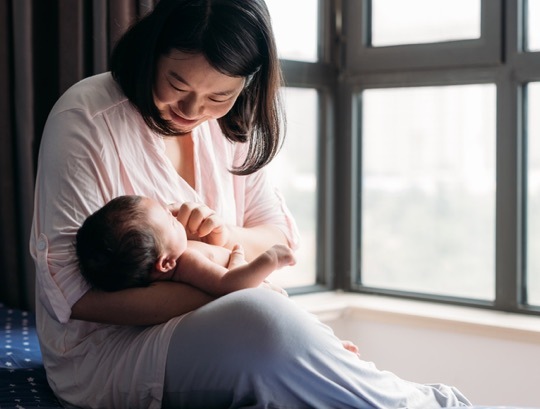 Go to the Texas Mother-Friendly Worksite website to learn about laws that protect your right to pump breastmilk at work. See whether your workplace is a Texas Mother-Friendly Worksite. This program promotes breastfeeding for moms when they return to work. Talk to your friends and family. Find out whether they have any experience with breastfeeding while at work and ask for their support. Talk to your coworkers. Are there other mothers who have pumped at work? Learn as much as you can from them. Is anyone else pregnant or breastfeeding? If so, consider a group meeting with your boss to make arrangements. Talk to your human resources (HR) department if your employer has one. HR will know of any policies or programs that can help you combine working and breastfeeding. Some larger companies have an employee wellness program, an occupational nurse, or an employee relations program that might be able to support you in talking with your employer. Before your meeting, practice what you plan to say to your employer with your friends or family. This will help you ease your nerves and be prepared. Discuss where you plan to pump. Visit the Pumping at Work page for great ideas for finding or creating private spaces to pump milk while at work. Explain that you’ll need time to pump. Most moms find they need two to three breaks per eight-hour day to express their milk. Discuss where you’ll store your milk. If there is an employee refrigerator, you can keep your milk there until you leave work at the end of each day. Or bring your own ice chest or insulated lunch cooler with ice packs. Working moms tend to rush back to work for many reasons, including stress about money. But time with your baby during these first weeks and months is special, and you deserve to take as much time as possible. So let’s look at some ideas you might not have considered. Learn whether you are entitled to job protection during maternity leave under the Family and Medical Leave Act of 1993 by visiting the US Department of Labor’s website or calling their toll-free information and helpline at 1-866-4-USWAGE (1-866-487-9243) or TTY 1-866-487-9243. Talk to your boss or Human Resources (HR) department about your options. Let them know you’d like to take as long a maternity leave as possible. Ask them to explain what options are offered where you work. Preparing for the transition back to work will make it easier for both you and your baby. If you have a breastfeeding plan, it will help your family and health-care providers understand your goals. You are taking care of baby, but are you taking care of yourself?